The Enterprise crew is trapped in paradise when they come to rescue colonists who have fallen to pacifying alien spores and become infected themselves. "This Side of Paradise" is the twenty-fourth episode of the first season of the original science fiction television series Star Trek. It was first broadcast on March 2, 1967 and was repeated on August 10, 1967. The episode was written by D.C. Fontana and Jerry Sohl (using the pseudonym Nathan Butler), and directed by Ralph Senensky. The title is taken from the poem "Tiare Tahiti" by Rupert Brooke. 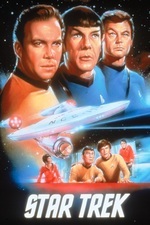 In this episode, the USS Enterprise visits a planet, where the inhabitants are under the influence of strange plant life. The episode can be viewed on Netflix and Hulu. "I'm not going back, Jim!" This episode wins Most Egregious (Over-)Use of Ruth's Theme. Right, so I checked. Seven. In this episode, they played "Ruth's Theme" seven times. Once with the full "middle-eight" section. That's five more than the episode where Ruth actually appears.